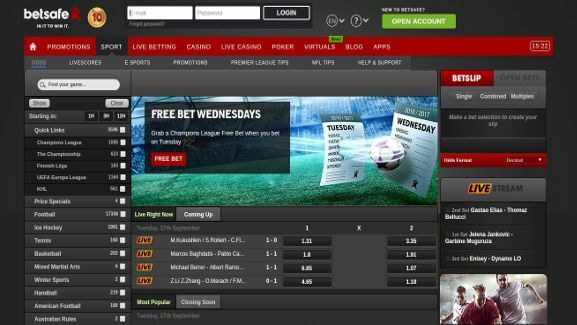 Betsafe is a bookmaker which was recently acquired by Betsson. This bookmaker was founded in 2006 by a group of young people with experience in the gambling world. The founders had worked in other bookies, they used all learning from previous work to create a quality bookmaker service. Betsafe is known for having good reviews from punters on the Internet. The odds and betting options are generally good at this bookie. Betsafe design is classic, they keep almost the same design since their foundation. The website has been updated in some ways but have maintained their same design. In 2011 they had a very similar design as today, things have changed very little in the website. 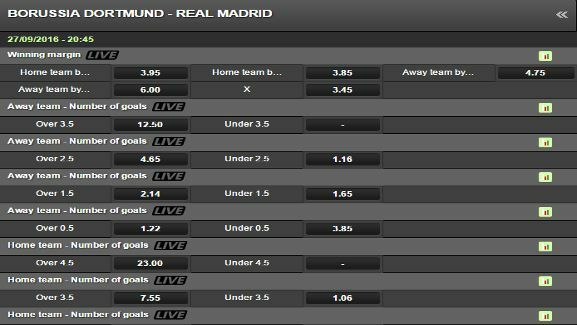 Betsafe is quite dynamic and loads quickly, all sports appear in a left sidebar, where the main menu is. Basic types and some exotic bets are available. Betsafe has about 40-60 betting options for each event. Some types of bets that are common in other bookies, are not available on Betsafe. It is wrong that this bookmaker has not yet corrected that mistake. In general, betting options are good, they have options that offer only other bookies but not for pre-match. Odds prices are the best, they are the ranking of the 15 best prices for events. Most bookmakers offer odds for important events that are not profitable, but Betsafe always guarantee the profitability of prices in each event, It is an important event or not, it doesn’t matter. 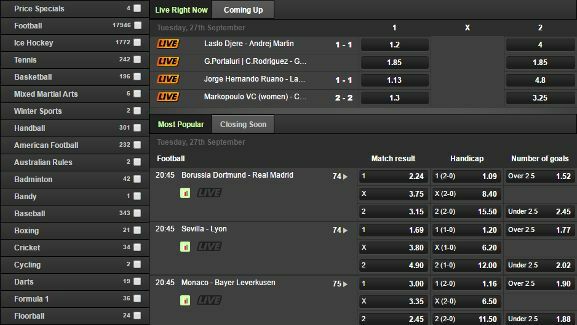 All odds are easy to find for each event, all shown at the same time with their betting options, it is much easier that way. 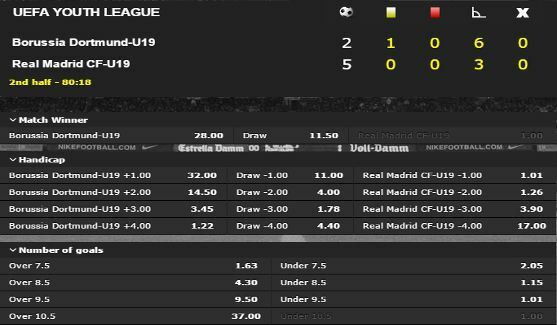 The betting options are varied with live betting. Punters can follow up to 2 matches at the same time or many more if necessary. Football matches have statistics, minutes betting, pitch map, cards, etc. The bets are usually approved in 5-6 seconds. It is a pretty good time compared to other bookmakers offering the live betting service. 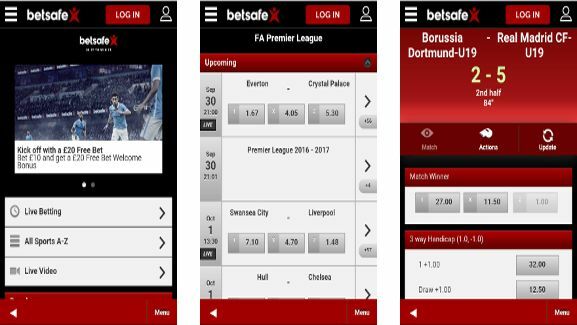 Betsafe offers a fairly complete app for Android and iOS. The app comes with everything Betsafe offers on its website, casino games and betting. The design of the app is almost the same as the website. It is a very beautiful app. In live betting app option, pitch map for football matches does not show. It could be a disadvantage for the punter. This bookmaker has always been recommended. Some Internet users comment on how fast it is Betsafe to make payments and deposits. It is a well-liked bookie among the Nordic punters, they prefer this one before any other bookmaker in UK or elsewhere in the world. Live games are a great attraction for all users of the website. Betsafe has been cataloged as a satisfactory website in all its services. *welcome bonus for Betway Europe is up to a maximum of 20 Euro, on a country by country basis. Users in some countries may find that their bonus is higher or smaller.